While Cortana is no doubt a great addition to what Windows 10 already offers, sometimes it can be the source of a few annoyances. Namely, the issue where it randomly activates without any input. In this post, we will see how to fix the Windows 10 Cortana Keeps Popping Up issue and get rid of it forever. Let’s get started. Stop Cortana popping up when scrolling – This is a common problem with Cortana, and in order to fix it, you just need to disable Three Finger Tap and Four Finger Tap features. Disable three finger tap Cortana – Three finger tap is the main cause of this problem, and in this article we’ll show you how to properly disable this feature. Find box keeps popping up – This issue can be caused by your touchpad, and if you’re having this problem, try disabling your touchpad and check if that helps. Cortana search keeps popping up – This is another common problem with Cortana. 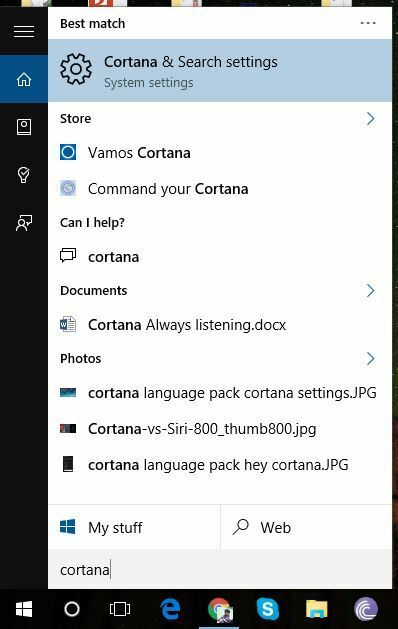 If Cortana keeps appearing, try connecting a USB mouse and check if that helps. Cortana keeps turning on, activating, starting – This can be an annoying problem, but you should be able to fix it by using one of our solutions. If you are using a laptop with a trackpad, chances are that your laptop has some set gestures that trigger Cortana. If you don’t already know about this, then this is probably the thing triggering Cortana on your laptop. Follow the steps below and you will fix this in no time. Open your Start Menu and now open Settings. In the settings app, look for Devices then click it. This will open a new window. Now in this new window, click on Mouse & touchpad. This will open the input devices options. Now in this window, you need to click on Additional mouse options. This will open a new window. Now, carefully look for options that read “Three Finger Tap” or “Four Finger Tap”. You need to make sure that these options are disabled as this is also a factor that triggers Cortana automatically. You can also find the similar options when you go to Control Panel>Hardware and Sound>Synaptics Touchpad. Just turn that tap feature off and everything will work fine. Sometimes, Cortana is not able to compile what is being spoken and can start on its own. This is due to the always listening feature in Cortana. You can disable it by going into Cortana settings easily. Follow the steps below. Open start menu and type in Cortana. 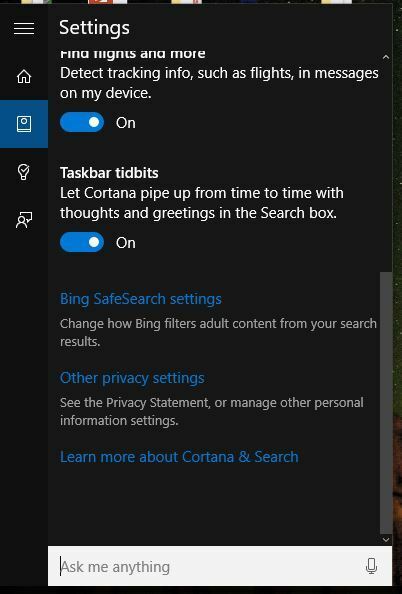 You will notice that a result that reads Cortana & Search settings will pop up. Click it. Clicking on that result will open up a new page. Now look for the setting that reads Let Cortana respond to Hey Cortana and then turn the option off. Follow all the steps mentioned in the Solution 2. In the Cortana and Search settings, look for the option that reads Taskbar tidbits. There will be an option to turn it off. Do it, and it should alleviate this issue. 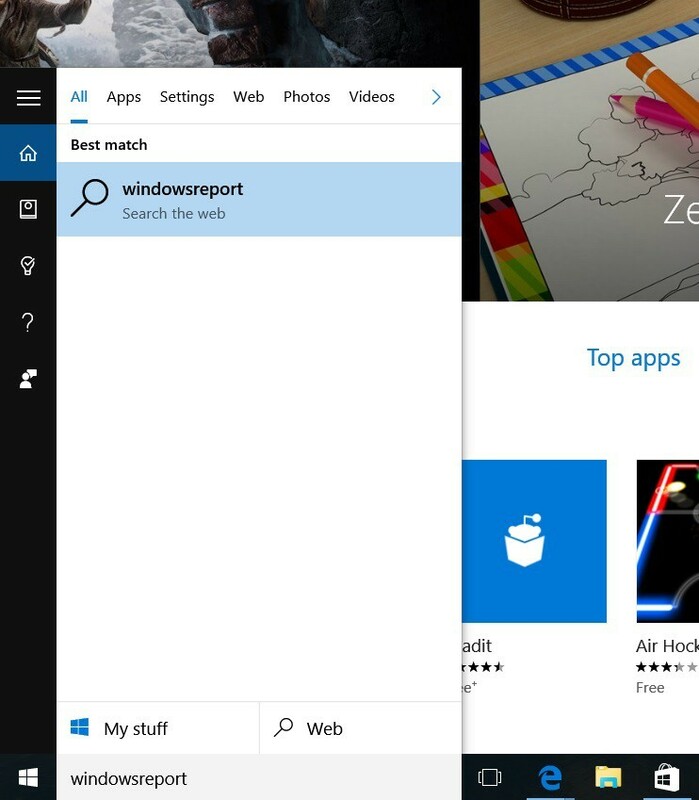 When Settings app opens, navigate to the Cortana section. 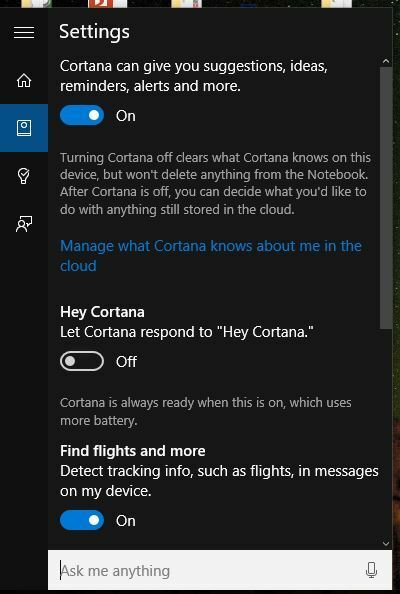 In the right pane, locate Use Cortana even when my device is locked option and disable it. After doing that, the problem with Cortana should be resolved completely. Sometimes this problem can appear if a certain key on your keyboard is stuck. Several users reported that this issue started occurring due to a stuck F5 key. This caused certain shortcuts to be activated by accident and Cortana to pop up. To fix this problem, be sure to check your keyboard and make sure that there are no stuck keys. Alternatively, you can try a different keyboard and check if the issue reappears. Keep in mind that this is an unlikely cause, but nevertheless, we advise you to check your keyboard just in case. If Cortana keeps popping up, the cause might be your touchpad. Some touchpads are rather sensitive, and you can perform gestures by accident. To fix the problem, it’s advised to try using a USB mouse with your laptop. If switching to USB mouse fixes the problem, it means that you’re performing gestures on your touchpad and starting Cortana accidentally. This isn’t a permanent solution, but it’s a decent workaround, so be sure to try it out. As previously mentioned, sometimes these problems can occur due to your touchpad. If you don’t use your touchpad that often, you can just disable it as a workaround. There are several ways to do it, but the best one is to use the keyboard shortcut to disable it. To find which key disables the touchpad, look for a key that has a touchpad icon on it and press Fn and that key together to disable the touchpad. If you can’t find the keyboard shortcut, you can always check your laptop’s instruction manual for detailed instructions on how to disable your touchpad. You can also disable your touchpad by using the touchpad software. Each touchpad software is different, however, each touchpad application has the ability to disable the touchpad, so you should be able to disable it. Locate your touchpad on the list, right-click it and choose Disable device from the menu. When the confirmation dialog appears, click on Yes. After doing that, your touchpad should be completely disabled and the problem with Cortana will be resolved. Open Device Manager, locate your touchpad driver, right click it and choose Update driver from the menu. 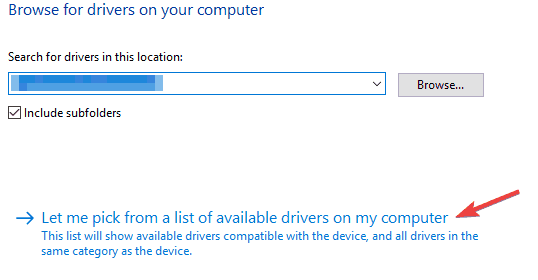 Click on Let me pick from a list of available drivers on my computer. List of drivers will now appear. Select the older driver and click Next. After the older driver is installed, look for your touchpad software and disable Three Finger Tap and Four Finger Tap features. 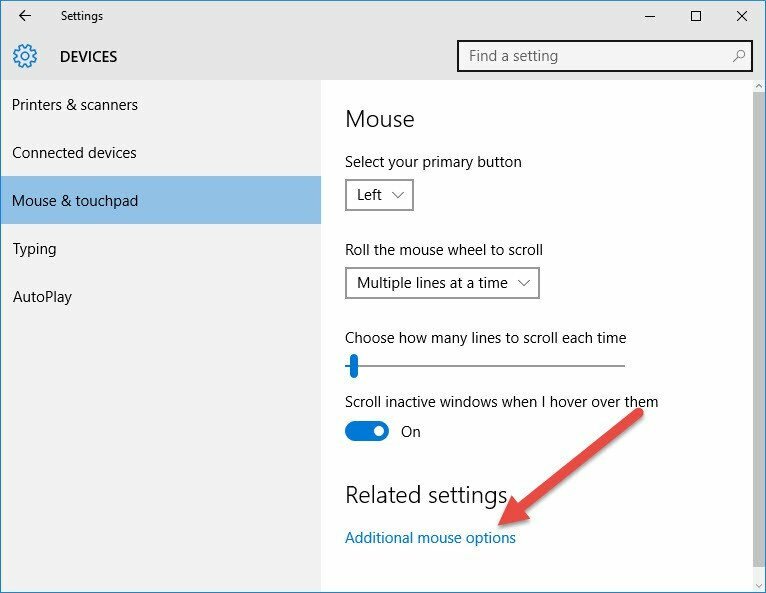 If this solution works for you, keep in mind that you need to prevent Windows 10 from automatically updating your touchpad driver. To see how to do that, be sure to check our guide on how to block Windows 10 from updating certain drivers. Keep in mind that you might not be able to install the older driver using Device Manager. If that happens, you’ll need to remove your driver manually along with all associated files. There are many ways to do that, but the most straightforward method is to use uninstaller software. These applications are specially designed to remove programs along with all files and registry entries associated with them. If you want to remove an application entirely from your PC, be sure to try Revo Uninstaller or IOBit Uninstaller (free) . All these applications are simple to use, so feel free to try any of them. Now visit your touchpad manufacturer and download the older driver for your touchpad. After installing it, disable Three Finger Tap and Four Finger Tap features and the problem should be completely resolved. When Registry Editor opens, navigate to HKEY_LOCAL_MACHINESOFTWARESynapticsSynTPWin10 key in the left pane. 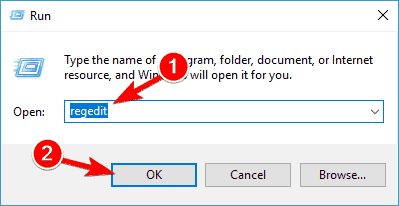 Right click Win10 key and choose Export from the menu. 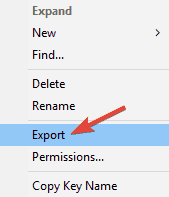 In the Export range select Selected branch, enter the desired file name and click on Save. In case anything goes wrong after modifying the registry, you can always run the exported file and restore the registry to the original state. After doing that, check if the problem still persists. If you can’t find any of these DWORDs or the path from Step 2, this solution doesn’t apply to you so you can just skip it. These are some working ways to fix Windows 10 Cortana automatically popping up. These methods will definitely fix the problem you are facing as they have for countless others over the internet already. Let us know how these instructions worked out for you in our comments! Editor’s Note: This post was originally published in March 2016 and has been completely revamped and updated for freshness, accuracy, and comprehensiveness.